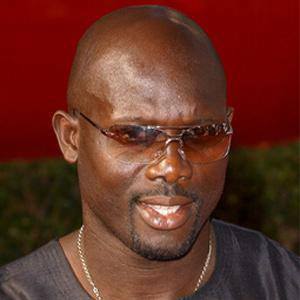 Liberian striker and politician who was named 1995 FIFA World Player of the Year; scored 193 goals in his 411-game club career and competed for the Liberian national team from 1987 to 2007. In 2014, he was elected to the Liberian senate. Manager Arsene Wenger signed him early in his career and influenced his life greatly. In 2005, he ran for the Presidency of Liberia but lost. He has three children with his wife Clar, one of whom is professional soccer player Timothy Weah. Both he and David Silva played for Manchester City.